Perfect supplement to boost your current feeding program. Can be used as a solution in hydroponics, root drench and or foliage spray. 70 trace elements, minerals and vitamins. One of the oldest and most effective natural supplements. 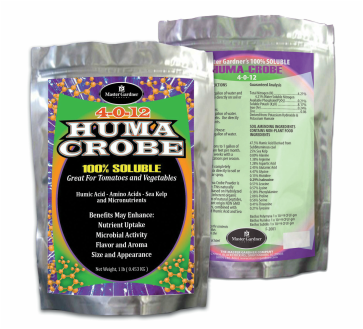 Enhances microbial activity in the root zone. Contains the natural growth hormones auxins, gibberellins and Cytokinins that stimulate every aspect of the plants biology that would promote faster germination, more vigorous growth and intense flowering. 1lb. bag, makes up to 80 gallons. Promotes root development by increasing microbial activity in the root zone. Aids in the breakdown of organic matter. Increases moisture retention in plants and in soils. 63.5% humic acid (one of the highest in the industry). 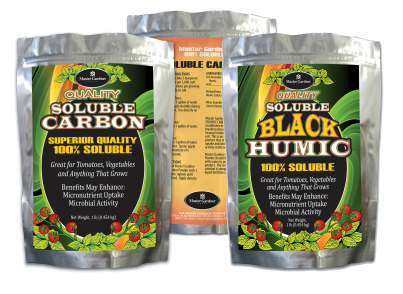 Humic has been known to regulate PH in soils and to increase nutrient uptake both in soil growing and hydroponic growing. Promotes vigor and root development that can result in faster growth. Can be used as a soil conditioner since it stimulates bioactivity. The organic compounds Humic Acid manufactures sugars in plants. Sugars are especially important during flowering because plants require an increased amount of carbohydrates to produce fruit. The carbohydrate infusion delivered in humic acid will also organically enhance flavor, color, and aroma of fruit. Unique blend of 14 Amino Acids – Humic Acid and Sea Kelp. Amino Acids are proteins that are part of the building blocks of life that stimulate plant metabolism. Stimulate vegetation, growth and flowering. Reduces plant stress due to environmental factors such as high temperature fluctuation. Increase yield and overall quality of the plant. Includes 3 forms of bacillus that are natural fungicides and growth promoters. Can be used as a solution in Hydroponics, root drench and or foliar spray. 1lb. bag makes up to 16 gallons.